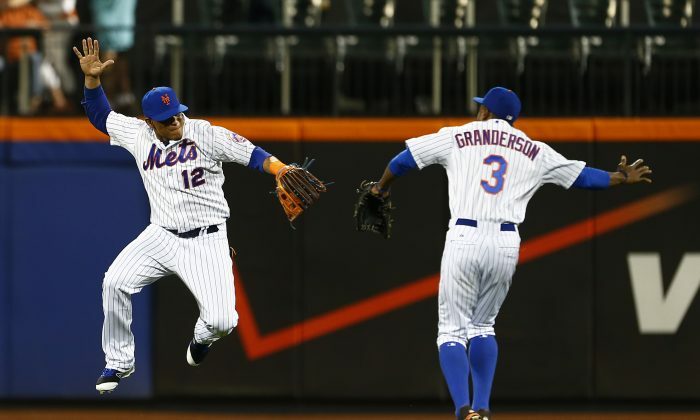 Despite being swept at home over the weekend by the Pirates, the first-place Mets are still in good shape to make the postseason for the first time since 2006. And with six straight losing seasons under their belts, it’s been a while since the Mets were considered a shoo-in for the postseason this late in the summer—seven years to be exact. It was the summer of 2008 and New York, with an 82–63 record, had a somewhat comfortable 3.5-game lead over second place Phillies on Sept. 10. Just six days later the Mets, which had been in first place for all but one day of the previous month, had fallen to second. A mini-three-game winning streak put them back on top for a day—Sept. 19—but then with six losses in their final nine games, the Mets were topped by the hard-charging Phillies that won 13 of their final 16 games. Sadly, it was a near repeat of the previous season when New York—which this time had a commanding seven-game lead over Philadelphia on Sept. 12—somehow lost their hold on the division and ended up losing the division on the final day of the season. The franchise player has played four games on a minor league rehab stint with Port St. Lucie, hitting .286 during that time and is expected to be with the Mets in time for the opener of a four-game set against the Phillies on Monday, Aug. 24. Although it’s expected the team will take it slow with Wright, who was diagnosed with spinal stenosis in his lower back, he should at least be a better alternative to José Uribe (hitting .179 with the Mets) and may platoon with Daniel Murphy at the hot corner. The seven-time All-Star Wright was hitting .333 in eight games before being sidelined on April 14. With the Nationals now (through Monday) a game below .500 the only teams with a winning record left on their schedule are the Orioles and the Yankees. That’s 39 of 44 games against teams with a sub-.500 record. And should the Nationals rebound, the Mets have six games left against the division’s second-place team. The currency in today’s post-steroid era game is pitching and defense and the Mets have starting pitching in spades—that much is well-known and it becomes very important this time of year. Remember when the Red Sox faded down the stretch in 2011? The team was 82–51 on Aug. 27 and had a two-game lead over the Yankees and a nine-game cushion over Tampa Bay in the wild card standings. But their unstable pitching rotation went completely failed in the final month and the team lost its division lead and eventually its place atop the wild card standings in one of the biggest collapses ever. The Mets have too many good starters to have something like that happen. The first-place Mets are streaking. Is it all because of the trades they made? The Phillies may be looking to deal veteran star Chase Utley. Here's why the Cubs might be his best landing point.